There are tons of people who use FTP clients every day. Graphic designers use them to upload completed designs. Web programmers use them to upload finished scripts and programs. Whatever you use them for, try WinSCP. It’s a free and popular client that does not only FTP, but SFTP and SCP. 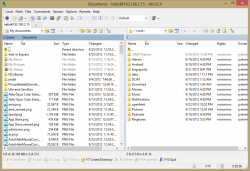 WinSCP is a free SCP client that, in addition to SCP, fully supports FTP and SFTP. This means you can connect to almost any fileshare in the world, given you have the proper credentials. WinSCP is a very big program. Even if I took a week and a half to go through every nook and cranny of it and its programming, I’d still not be done, and I’d probably have discovered lots of cool things about it. If you’ve ever used an FTP client before, you’ll know exactly how to use the basics of WinSCP: on first startup, it prompts you for a server to connect to. After connecting, you’re left with just a standard two-pane file browser. Simply because it acts much like a standard FTP client doesn’t mean it doesn’t pack in features. From the menu at the top, you can send commands, open multiple sessions at once, and much more. If you’re not interested in the menus, however, a large amount of the functionality can be found in the buttons below. For instance, new in version 5.1 is a tab selector for open sessions. This means you can switch back and forth between one server and the next with just a single click. Browsing in WinSCP is a lot like browsing in an old file browser. It lets you choose a top-level directory from the dropdown at the top, and you can navigate forward, backward, up, and home, as well as refresh the current page. Most useful on that bar is probably the Filter button, with which you can hide files based on filetype, filename, and more. 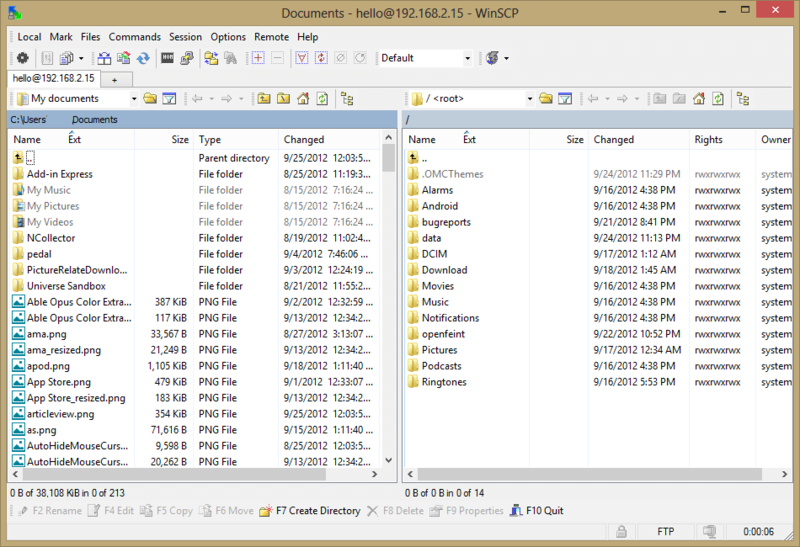 Many people simply have no use for an FTP or SCP client at all, but for those that do, WinSCP is probably the best client around. Others, like Filezilla, are very close, but since WinSCP has less clutter than Filezilla and uses less resources, it’s the clear winner.